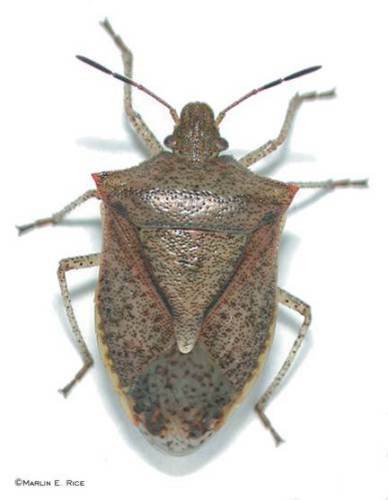 The brown marmorated stink bug (BMSB) is a recently-introduced, invasive insect found in the eastern USA. See background information elsewhere in our ISU Extension newsletters. August 16, 2010. Stink Bugs on the Move. There are several native or established insects in Iowa that are similar in appearance to the BMSB. These are described and illustrated in a 2-page pamphlet located on our Plant & Insect Diagnostic Clinic website. 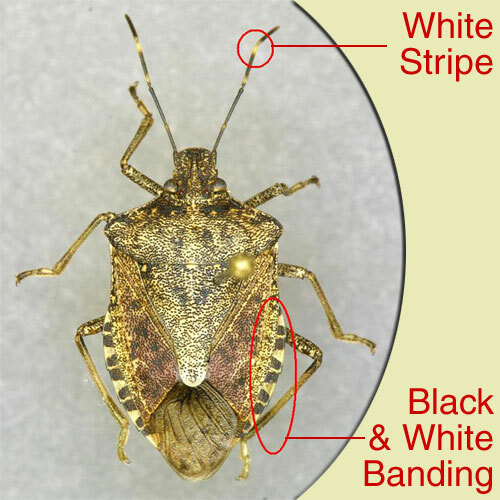 Brown Marmorated Stink Bug. Note recognition characteristics. Photo from University of Kentucky. Pine Seed Bug. This inch-long, household accidental invader is common indoors in Iowa. 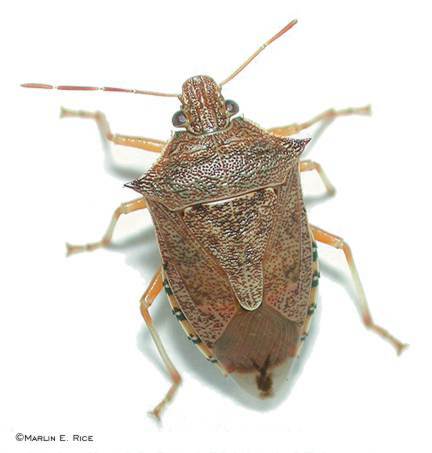 Brown Stink Bug. The antennae have dark tips and body is 1/2 inch long. Photo by Marlin Rice. Spined Soldier Bug. One-half inch long with acute spines on thorax. Photo by Marlin Rice. 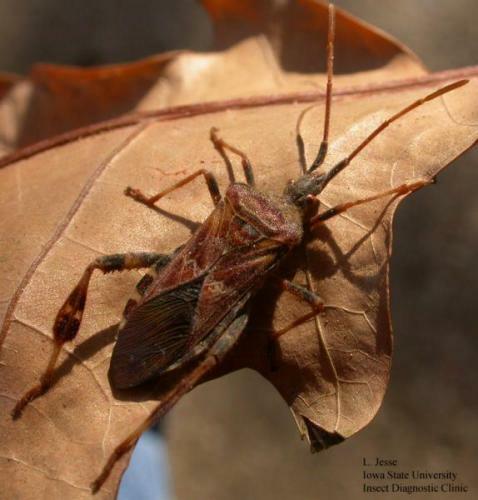 Links to this article are strongly encouraged, and this article may be republished without further permission if published as written and if credit is given to the author, Horticulture and Home Pest News, and Iowa State University Extension and Outreach. If this article is to be used in any other manner, permission from the author is required. This article was originally published on March 9, 2011. The information contained within may not be the most current and accurate depending on when it is accessed.